NOTE This book is receiving international attention from publishers in Brazil, Spain, Germany and India for translation and distribution. Picture this: A mother parks her car in the parking lot of a supermarket and hops out to grab a few items. She ll only be gone a few minutes, so she leaves her baby in the backseat and cracks the front window. The child, too small to protest, doesn t even know what is happening. In a matter of minutes, the car begins to act like an oven. The lack of ventilation inside causes the temperature to increase twenty degrees for each ten minutes she is gone, even with a window slightly open. The child s cries remain unheard and fall silent once his body temperature reaches 107°F. How many infants and young children die each year due to the negligence of their parents? The answer is too many. No child deserves to die this way. 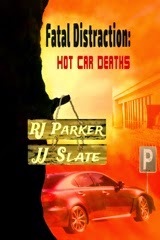 Our first reaction when we hear of another hot car death is to instinctively blame the parents. We think they must not be fit to be parents in the first place. Many are too obsessed with themselves that they forget what a selfless act it is to care for a child, while others just think of themselves as being too busy in their own lives than to worry about a child. But many incidents of hot car deaths are tragic accidents. It is difficult for many of us to comprehend, but parents can become distracted by today s on-the-go lifestyles and simply forget their child is in the backseat of the car. Backseat Tragedies: Hot Car Deaths explores the circumstances that led to the deaths of several children who died of hyperthermia, or suffering a heatstroke in a car. We explain the facts about how quickly a car can heat to deadly temperatures and what steps you can take to prevent future tragedies. We hope to raise awareness about how a simple act of carelessness can result in the death of a beautiful child.